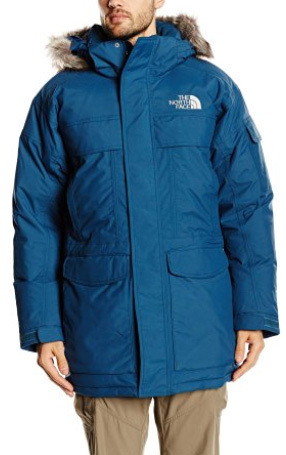 If you have been keeping up with our articles, The North Face is one of the most mentioned and reviewed brands. A simple online research would show that we are certainly not the only ones who appreciate and recommend this brand’s items. Lots of happy users and reviews are proof that this brand definitely deserves its good name. The quality is astounding, as are the designs. Especially the jackets. They are not only made to provide warmth, but also to fit comfortably and last for many seasons. 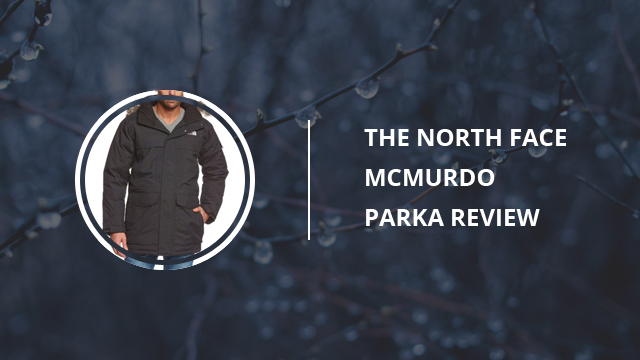 Today it is time for another review on one of their jackets, the McMurdo Parka for men. Not only is this jacket high quality, it is also quite stylish and versatile when it comes to different outfits it goes well with. It comes with a lot of features, which we will be, as always, detailing them further down. 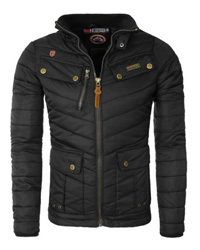 By the end of this review, you will have a clear picture of this jacket’s specifics and qualities. 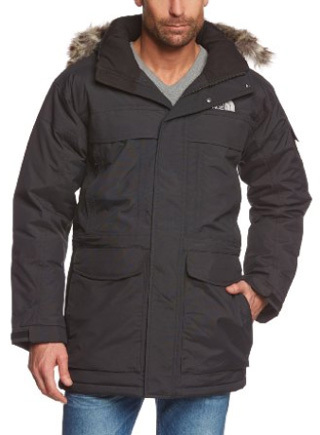 The McMurdo Parka is a down jacket, making it appropriate for cold weather and freezing temperatures. The design is intended to fit comfortably and to allow for easy movement, making it suitable to wear in winter activities, such as hiking or camping. It withstands temperatures as low as -20 degrees Celsius, with only a light shirt worn underneath, which is not only impressive, but very practical, since it avoids bulking and having to wear many layers of clothing in order to stay warm. The style is, as mentioned previously, versatile. It will look good with mostly any outfit, ranging from casual to more formal ones. It’s casual enough to go well with jeans, and elegant enough to go well with office clothes, and even suits. With that being said, it can be worn while strolling around the streets, as well as when out in the woods, hiking or around a campfire. It comes with plenty of pockets, so there will not be a need to carry a bag if you are carrying a phone, glasses, gloves or other small items. These pockets are located on both sides, two with Velcro flaps and two hand warmer pockets, with zipper side openings, two chest pockets with zippers, an arm pocket, as well as two inside pockets, all oversized, with plenty of room for your belongings. On the chest pockets, there are drawstrings inside, to adjust the jacket around the waist. There is a water bottle pocket on the inside, which expands to adjust to the size of the bottle being carried. The down in the jacket will prevent the water from freezing, therefore keeping it at the appropriate temperature for drinking. 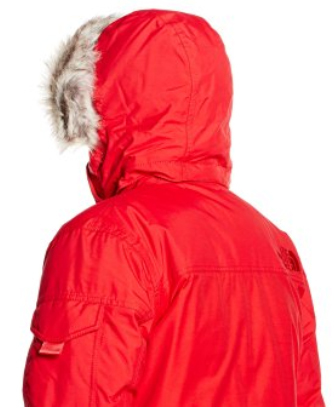 There is a removable hood, which is lined with removable faux fur trim, adding more to the look of the jacket, as well as protecting the face during icy winds. The collar is quite high, going all the way to the chin, adding protection and insulation. It is lined with a soft brush material on the inside, to keep the neck warm and comfortable. The same brush material is on the inside of the hand warmer pockets too, to quickly warm up the hands, when necessary. As for the zipper, it is a one-way VISLON zipper, weatherproof, and covered with a snap placket, placed in the center of the jacket. The cuffs have Velcro tabs, for proper adjustment. This is a long jacket, ending above the knee and with drawstrings in the hem, to properly fit it around, preventing any snow or drafts from getting inside. 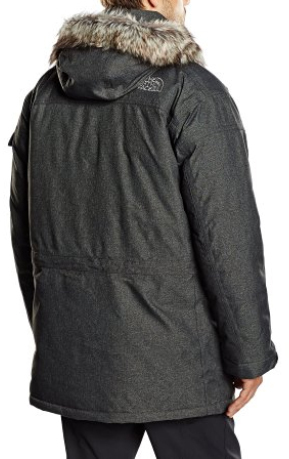 The outer and inner lining are both made of synthetic material, adding water resistance to the jacket and making sure it will be considerably durable to tears and environmental conditions. Being a down jacket, the filling is 550er goose down, quilted, which will not only provide plenty of heat, it will also serve as insulation, making sure that the heat does not get out. Down is also known for being lightweight, which is also the case with this jacket, making it all the more comfortable to wear and easy to move around in. There is DryVent technology incorporated, making this parka weatherproof. Apart from that, DryVent also helps rid moisture, thus preventing overheating, as well as dampness on the inside. These are very important if you intend to walk for a long time, or take part in other physically-demanding activities. 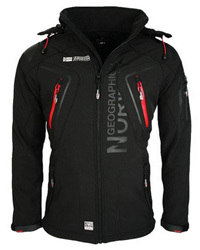 It comes with an inbuilt membrane, further insulating the jacket as well as adding to its weatherproof qualities. This parka comes in several colors, depending on the online store you will be purchasing it from. These colors include: TNF Black, Black, Black Ink Green, TNF Red, Graphite Grey Heather, Monterey Blue. As you will see, apart from the red one, which is more daring and vividly colored, the rest are pretty classic colors. Now, this comes in handy when having to plan different outfits, seeing how these colors will not affect the outfit selection, causing it to look washed out, or the jacket to look too overpowering and out of place. We’d recommend the darker colors for more formal outfits, while the Red one would be a good selection if you’re intending to wear the jacket daily, and in casual occasions and outfits. In the end, it is all up to you and what you prefer, after all. There are so many reviews for the McMurdo Parka, that it will be quite a feat trying to summarize them and give a general idea on what the buyers are most pleased with. Resistance to cold and the amount of heat it provides are the first things that all buyers are most happy with. Some of them live in very cold areas, with temperatures going as low as -20 degrees Celsius. In such temperatures, one of them comments on having worn the jacket with only a thin sweater underneath, and it fared quite well, managing to remain completely warm. There are several buyers who claim that there are cold spots on the jacket, which can easily be fixed by fluffing the down filling, either by using a tumbler dryer and tennis balls, or by hand. It’s a common issue with down jackets that have been packaged and shipped, as down can easily flatten out. We mentioned that this is a very comfortable jacket, and that is also what the buyers comment on. It has plenty of room for layering clothes, if needed, and moving in it is easy and without any hindrance. Having many pockets, is definitely a bonus on the design, especially considering that they are quite oversized. 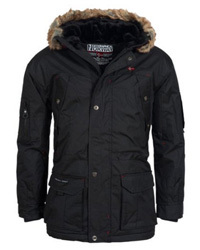 Many of the buyers also say that the parka stands out for being lightweight, waterproof as well as windproof. The outer shell is certainly waterproof and highly insulated. Quality is another thing agreed upon by all the buyers. It looks well-made, and it certainly is. High quality and very durable, guaranteeing that not only will you be getting what you are paying for, but it will be a purchase that will last for many years and in different weather and environmental conditions. As for breathability, the DryVent lives up to its purpose. No overheating and no dampness, managing to keep the wearer dry the entire time. And when it comes to the way it looks, there is no room for complaint. It is designed to look elegant, suiting different styles and adding to the look of any outfit. 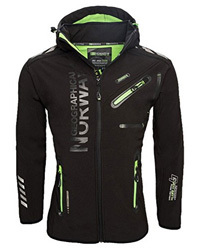 It is all out there, the information you need on every feature that this jacket comes in. With many reviews and a lot of happy buyers, one thing is for sure: The North Face McMurdo Parka is definitely worth a try!